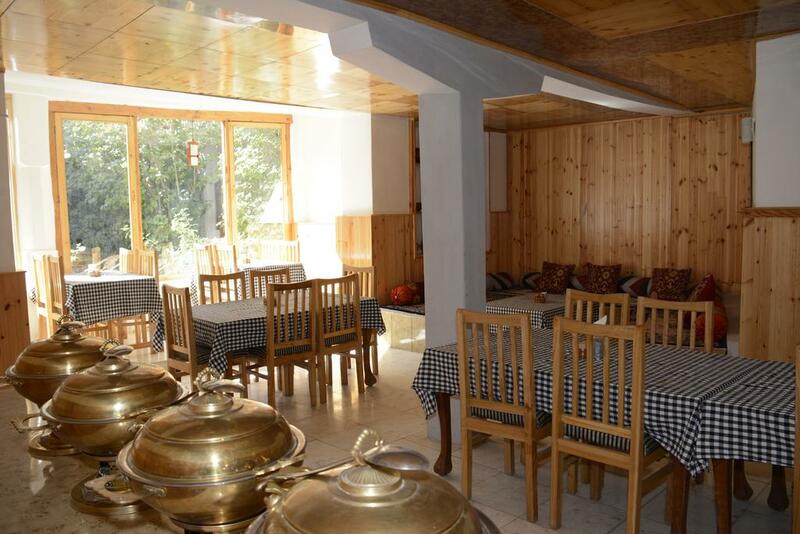 Hotel Tsomori is situated in the beautiful town of Leh. It is a true representation of splendid beauty with lofty mountains, deep blue water, white dunes, Buddhist monuments, beautiful mosques and warm people. The hotel is 3 km from Leh Royal Palace and 5 km from Leh Kushok Bakula Rimpochee Airport which makes it a prime abode for guests accommodation. Backup Generator, Currency Exchange, Major Credit Card Accepted, Doctor on Call, Room Service, Taxi Service, Laundry Facilities, Parking, Internet/Wi-Fi, Family/Child Friendly. Television Room, Complimentary Newspaper, Luggage Rack, Dustbins, H/C Water, Bottled Water in Room, Cable/Satellite TV, Ceiling Fan, Attached Bathroom, Shower Caps. User reviews for "Tsomori Hotel Leh"